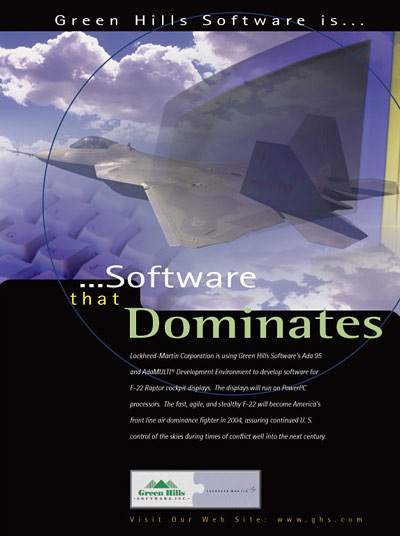 Lockheed Martin will be using Green Hills Software's AdaMULTI Development Environment to develop software for F-22 Raptor cockpit displays. The displays will run on Power Architecture processors. The fast, agile, and stealthy F-22 will become America's front line air dominance fighter in 2004, assuring continued U.S. control of the skies during times of conflict well into the next century.